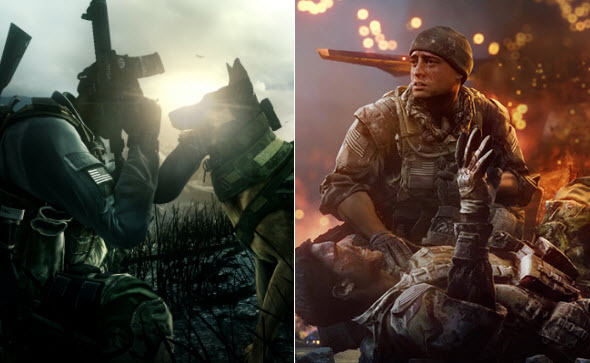 Already in a few days two most popular shooters - Call of Duty: Ghosts and Battlefield 4 - will be released, and their developers are desperately working on the games' marketing. Yesterday we wrote about the Battlefield 4 trailer that beats Call of Duty, and today we will tell you the latest news about these games. Internet: for Steam and multiplayer. Battlefield 4 for Xbox 360, PS3 and PC will be released from the 29th of October, and Call of Duty: Ghosts will appear on the these platforms on the 5th of November. Both games for the next generation of consoles are coming in November.